As you may know Tokyo is bidding to host the Summer Olympic and Paralympic Games for 2016. The decision on who will host the Games will be made in Copenhagen on October 2, 2009. That is in just 100 days time! 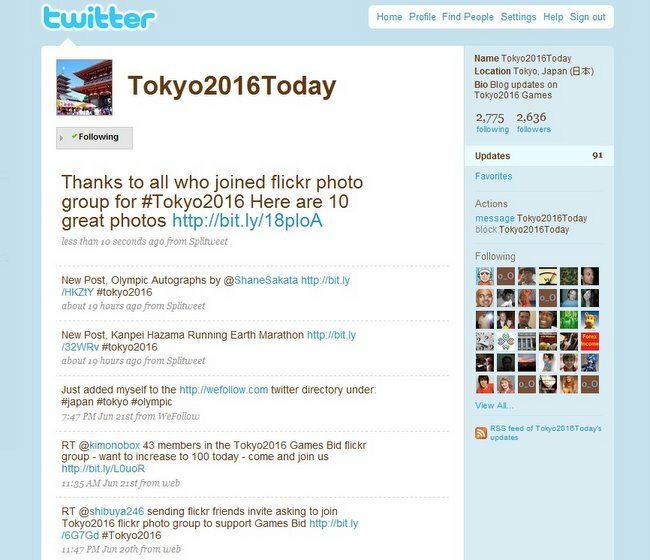 As part of the support community project we have set up a Blog which will have regular postings about the Tokyo2016 Bid activities, history and interesting news, as well as a separate flickr photo group, a Friendfeed group and a Twitter account. We are hoping people will join us to get behind the Bid for Tokyo for the Games in 2016. 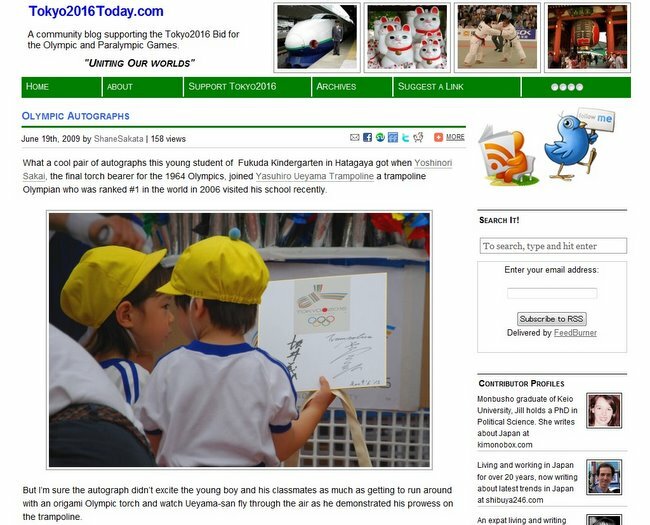 It is also possible to help support by submitting articles from Tokyo2016Today.com to StumbleUpon.com and Reddit.com as well as other social networking sites. In the top right hand corner of each article on the Blog you can find buttons for submission. We have found reddit and stumbleupon very effective. Of course you can also just subscribe to the RSS feed, sit back and read the news as it comes to you. You have the choice of subscribing in a reader or leaving your email address and be sent the stories once a day. I am hoping this project will be an exciting one and with your support that it will run well beyond just a hundred days. See you at the Games, 2016! Well I signed up for the frienfeed acct. and updated my twitter acct. also. What ever I can do to help get the bid. is there anything else I can help out with?xD Just let me know, gotta get Rilakkuma involved also btw how's he doing? This doesn't make me anti american does it? How absolutely brilliant would it be for Tokyo to get the bid? Anything you need assistance with, just let me know..